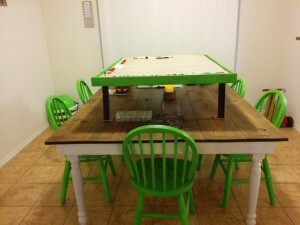 A few years ago I ran into a problem with our D&D games played at our dinner table. 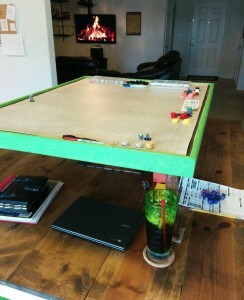 With all the character sheets, food snacks and books; we had little space for a gaming grid. 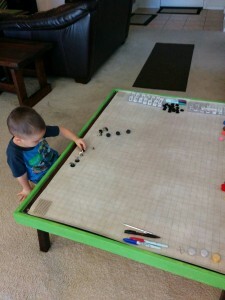 I’m a fan of having more space, so I decided to look into gaming tables. If you have looked yourself, you probably noticed they can get pricey. I didn’t have the budget for that so I went the DIY route. 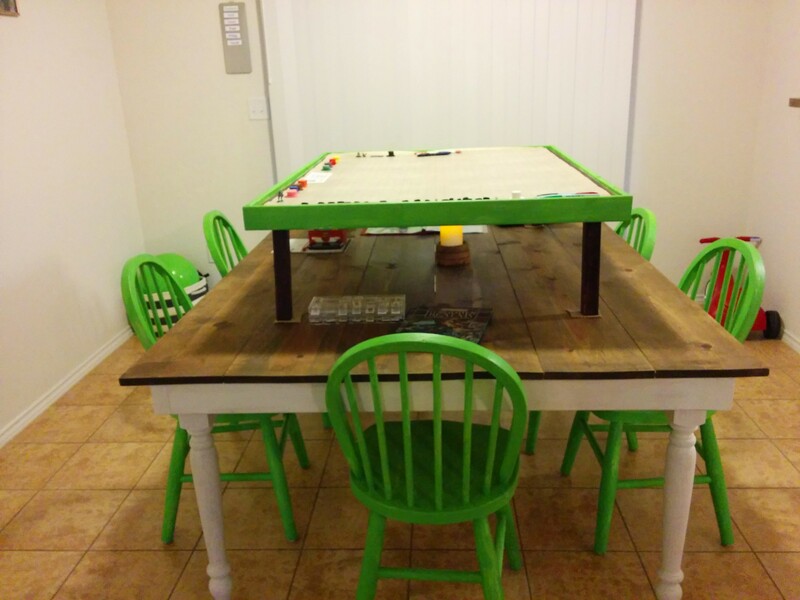 With my first attempt I just made the table larger using a sheet of MDF for game nights. This worked but it made it difficult to reach across the massive table for battle maps. I decided I wanted to take a different approach. As I did a few Google searches I found a few designs of using a second table on top of the primary table. I went out and built a small table on a small budget and this design works great. Now we have a dedicated space for the battle grip, miniatures and few other items. The remainder of our items can now sit nicely under and to the sides of the table, making things much less cramped. There are several ways to make a small table. You can re-purpose an Ikea side table or you can go completely DIY. I built mine for less than $20 in lumber and it suits my needs well. This project actually took very little cutting. The plywood was already the size I needed and had the eight foot boards cut down to four foot lengths before leaving Lowes. I used one set of the 2×2 inch to create a simple rectangle below the plywood. I then placed the legs at the corners. If the plywood is thick enough to be sturdy on it own, you might not need this. I used a thin/light plywood so I wound it up needing a bit of a frame and it gave me a second point to anchor my table legs into. After using the table for a while, I decided it needed a lip, to stop dice from rolling off. That’s where the 1×3 inch wood came in. I just attached it to the outside of the existing frame. 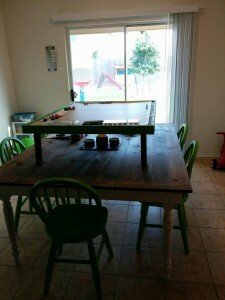 I also built my dining room table but that is another blog post.